This weekend saw a couple of very good friends of mine celebrate their stag nights in Dubai. In these time of economic crisis we combined both of them into one all mighty event. 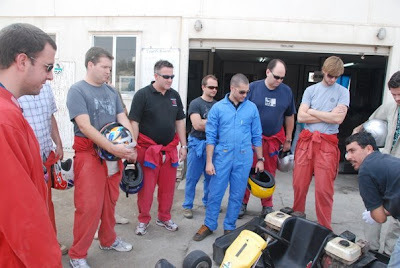 A stag do in Dubai for me was somewhat of a novelty, I felt a little nostalgic about the stags do’s gone by spent running around wet forests in Nottingham getting shot by stinging paintballs. While fun at the time – the bruises the bruises are always uncomfortable. 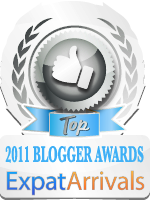 When the idea was floated last year the paintballing and go-karting were nominated. 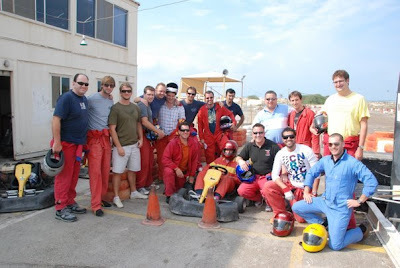 At the insitence of the petrol heads go-karting got the nod and I breathed a sigh of relief that I wouldn’t be getting shot anytime soon. 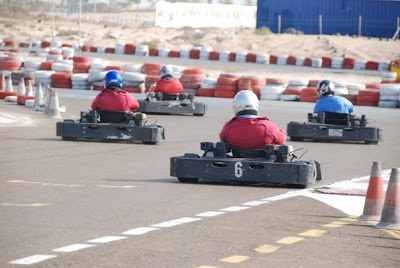 If you want to experience Go-Karting in Dubai there are two options. 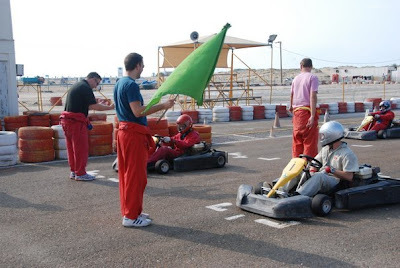 The fast but highly regulated track at the Dubai Autodrome or the more urban Emirates Karting Center situated just outside the Jebel Ali International Hotel. We elected for the Jebel Ali option based on a few of the lads recommendation that we could have more “fun” at this track. I wouldn’t mind checking the Autodrome karting for a bit of compare and contrast but if you want something rough and ready the Emirates Karting Club delivers in spades.